Cuscuta pentagona.Copyright ©.2014 Richard Old.New England Wild Flower Society.gobotany.newenglandwild.org (Accessed 7/2014). 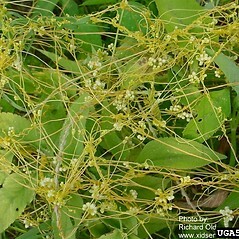 Cuscuta pentagona is a parasitic annual vine stems pale, very slender, no chlorophyll. 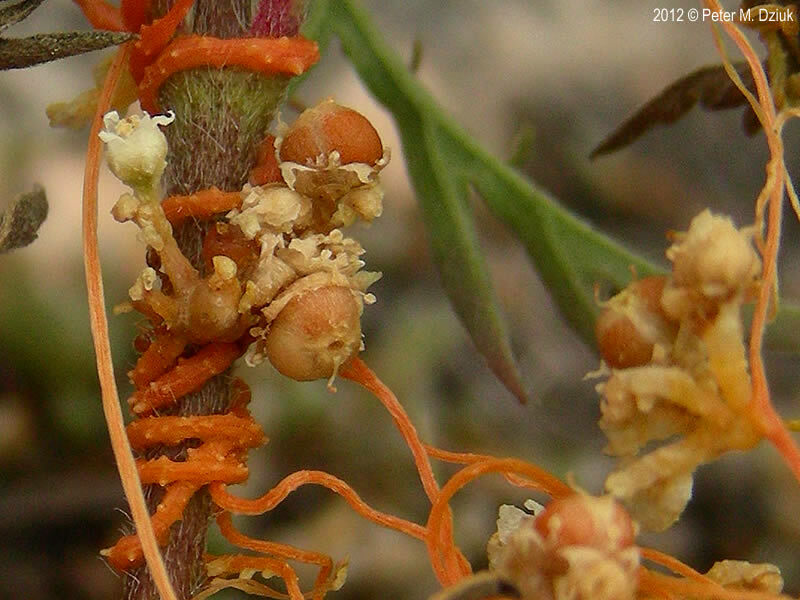 Cuscuta pentagona flowers and stems (orange vine). 2003-11-08. en.wikipedia.org (Accessed 2/2018). Flowers white, 5-parted, to 0.2 cm, somewhat glandular, petal lobes 0.1 cm, narrow to triangular, about as long as the petal tube, tips long-pointed, usually bent outward with ends bent upward, calyx about as long as petal tube, nearly enclosing it, calyx lobes often broader than long; inflorescence often on short stalks, in compact head-like clusters. Cuscuta pentagona fruit and vine. 2012 © Peter M. Dziuk. Minnesota Wildflowers. minnesotawildflowers.info (Accessed 2/218). Fruit dry, hollow capsule, rounded, top flattened, base shallowly cupped by old flower parts, 2-seeded; blooming and fruiting June-Oct.
Habitat: On herbaceous plants in dry open soil. 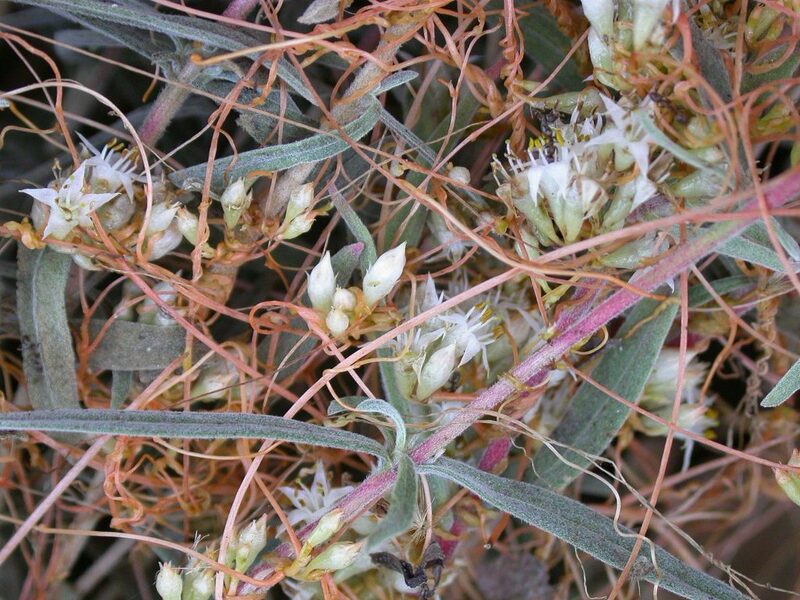 Notes: Listed as a noxious weed by the USDA (USDA 2004).